WHY IS OUTA CHALLENGE IT? Delays in the completion date will result in severe water shortages in Gauteng. Water experts are warning that water shortages are due long before 2024 as the flattening of the water demand curve is not happening. Excessive water losses and unaccounted-for water can lead to water shortages within the next few years. Implementation delays will make the project more expensive- and eventually cost tax payers much more. Cost overruns can become a heavy burden on taxpayers and make the water from LHWP 2 unaffordable. The lack of an independent water and economic regulator for water pricing means that unlike electricity where NERSA is doing its best to contain electricity prices it remains anyone’s guess how the LHWP 2 tariffs will be determined. Inefficient contracts and corruption can further add to delays and costs. LHWP Phase 1 was tainted by a tender and contract scandal and although the culprits were successfully prosecuted, appropriate measures should be taken to prevent a recurrence. Poor management of the current Vaal River system- this is a complex system with many dams, pump stations and inter basin transfers from catchments such as Usuthu, Thukela and Orange to the Vaal as well as exports to the Crocodile and Olifants. 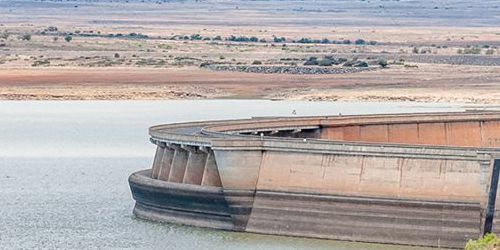 Ad hoc decisions by inexperienced managers and political pressure can result in sub-optimal water use and Gauteng running far earlier into a crisis. Unlawful abstraction by irrigation farmers in stretch between Katse Dam and Vaal Dam using the water paid for by Gauteng water users. Former Minister Mokonyane denied the claims about the engineering firm LTE, but not the delay in implementation of Phase 2. She blamed the delay on a resistance to what she called transformation, and said the culture against historically disadvantaged individuals needed to be eradicated. This was also the reason provided for the replacement of the Director General of the Trans Caledon Tunnel Authority (TCTA), Dr. Zodwa Dlamini, with someone more aligned with the interests of the Minister and her political party, Bheki Nkosi. By delaying the LHWP II in 2016, the Minister has cost the taxpayer approximately R2bn, without being held accountable for a single cent. WHAT IS OUTA DOING ABOUT THIS/OUTA’S SOLUTION? To take action on the delays regarding the Lesotho Highland Water Project by applying local and international pressure on the Minister. OUTA is also investigating its legal options to hold the former Minister to account. 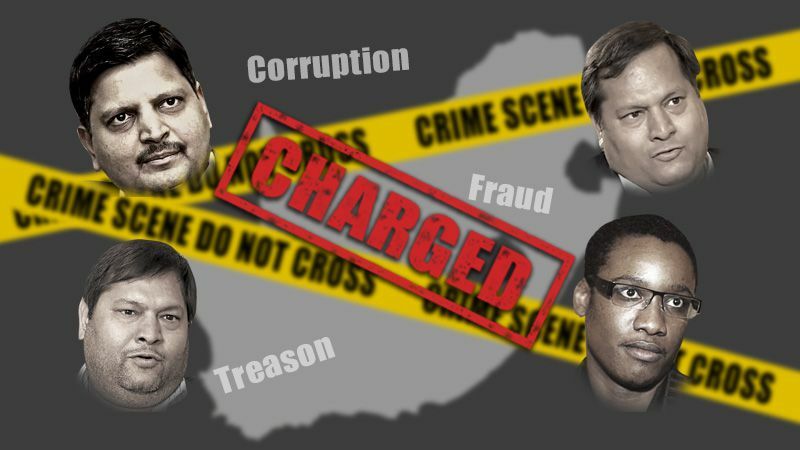 OUTA has laid charges of treason, racketeering, extortion, fraud and forgery against the Gupta brothers and Duduzane Zuma in connection with allegations of state capture. 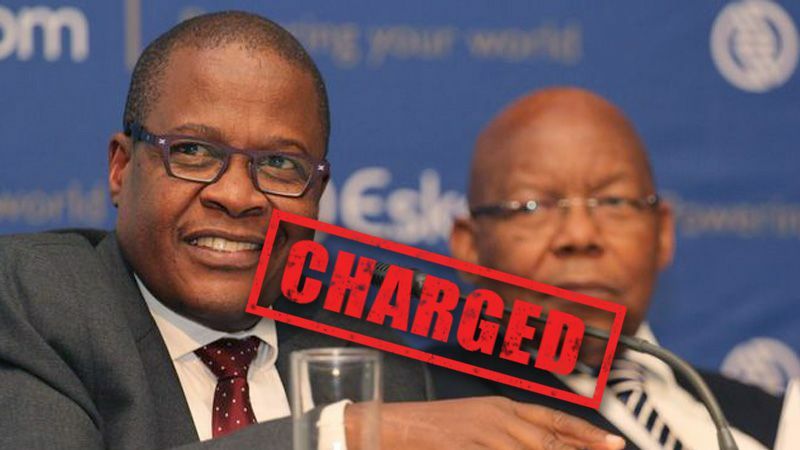 OUTA has laid charges of fraud and financial misconduct against Eskom’s former Chief Executive, Brian Molefe, and former Chairman of the board, Ben Ngubane. 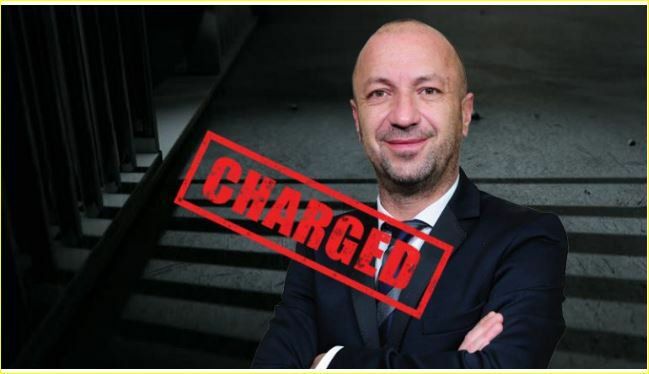 Mark Pamensky was a director of the state-owned Eskom Holdings while he was also a director of at least one company in the Gupta business empire. He passed on information gained at Eskom to the Guptas which helped them in their R2.15 billion purchase of Optimum Coal Holdings.